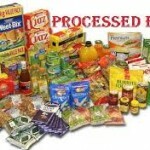 A study by the University of Michigan has illustrated why the global consumption of processed foods may be outpacing the consumption of healthy foods. 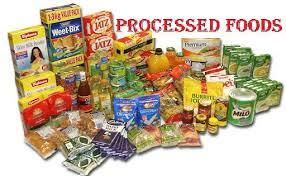 Simply put, processed foods are addictive and trigger addictive like eating behavior. This is one of the first studies to implicate certain foods in food addiction, a growing field to combat obesity trends. Highly processed foods containing white flour and sugar have been associated with triggering addictive-like behavior in animals. Prior clinical studies in humans have observed that some individuals meet the criteria for substance dependence when the substance is food, but no specific study has previously associated which food triggers addictive behavior. The researchers suggested that highly processed food share the addictive properties of “drugs” related to a concentrated dose, rapid rate of absorption, due to the addition of fat and/or refined carbohydrates and the rapid rate the refined carbohydrates are absorbed into the system. The study consisted of two different sections. In study one 120 research participants completed a questionnaire based on the Yale Food Addiction scale, a forced choice task, to indicate which foods out of 35 food varied in nutritional composition and were associated with addictive like eating behavior. The second study investigated the link between which food attributes, such as fat or sugar, were related to addictive-like eating behavior shown in study one. The study findings revealed that unprocessed foods which did not contain added fat, added sugars or refined carbohydrates like brown rice and salmon, were not associated with addictive-like eating behavior. Processed foods such as chocolate, pizza and French fries were among the most addictive in individuals with food addiction or with higher body mass index who may be particularly sensitive to the rewarding properties associated with consuming these items. The researchers recommend additional nutritional guidelines and public policy initiatives related to marketing highly processed food to children. ← USDA approves new genetically engineered apple.